Alfred is approximately 3 years old and is great with other dogs. 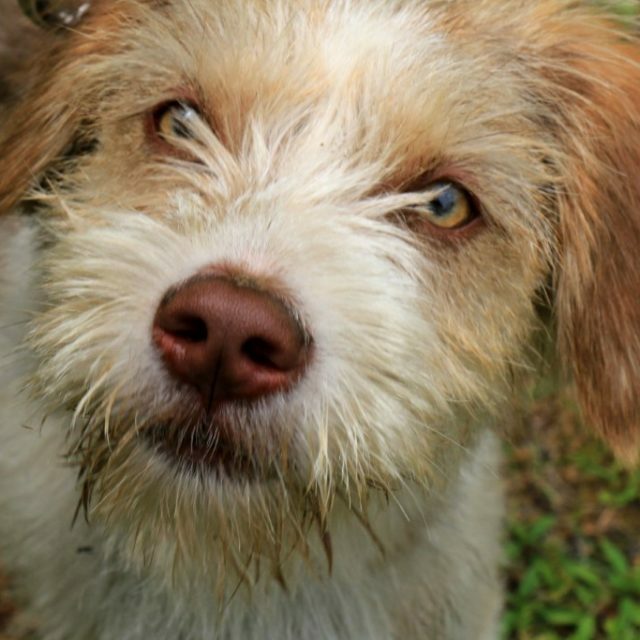 He enjoys his play time in the yard here at rescue and would fit in nicely with a dog friendly brother or sister. He’s house trained and is really learning how to rock his leash walks. With time and patience he will be doing all the dog tricks that he didn’t have the chance to learn as a pup as he was being readied for a meat festival. If you are interested in adopting Alfred, please complete our adoption application. Once the application has been completed and reviewed a member of the team will be in touch to set up a meet and greet with this adorable little gent. Alfred’s adoption fee is $500. and includes his neuter, up to date vaccinations and microchip. We look forward to hearing from you!